The island is volcanic having formed over a Pacific hot spot much like the Galapagos and Hawaiian Islands. It is fairly small, only 45 sq miles in total. The maximum length is 15 miles and width is 8 miles. 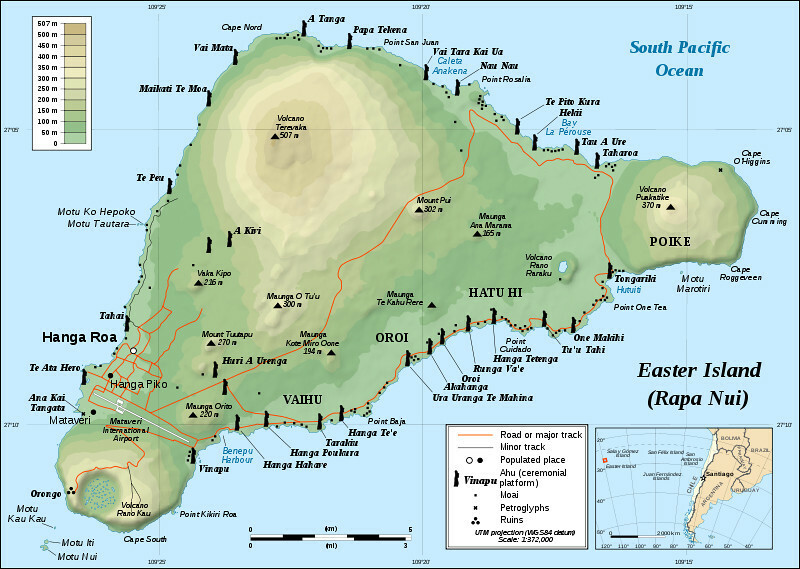 There are 4 extinct volcanos on the island - Terevaka, Puakaike, Rano Raraku and Rano Kau.